Is Walmart-owned Flipkart losing ground in Indian e-commerce battle with Amazon? Billionaire Jeff Bezos-led online retailer Amazon.com Inc.'s expansion in the US has probably given many a sleepless night to top executives at Walmart Inc., the world's largest brick-and-mortar retailer. Now, a similar story might be playing out in India. Just five years after entering the South Asian nation, Amazon may have gained an edge over Flipkart, a decade-old online retailer that was taken over by Walmart earlier this year. According to a new report, Amazon's India unit surpassed its main local rival in gross sales for the first time during the year through March 2018. British investment bank Barclays said in the report that Amazon generated $7.5 billion in gross merchandise value compared with Flipkart's $6.2 billion in 2017-18. The number excludes the gross sales of Myntra and Jabong, the apparel and lifestyle units of Flipkart. In terms of revenue, however, Flipkart remains ahead of Amazon. Flipkart posted revenue of $3.8 billion in the last financial year compared with $3.2 billion of Amazon India. But Amazon is catching up quickly and continues to grow much faster; its revenue surged 82% while Flipkart recorded 47% growth in 2017-18, the report said. “Amazon’s growth was driven by its B2C (business-to-consumer) unit, which continues to grow its lead over Flipkart’s B2C business,” the report said. Amazon India has also ramped up its B2B business using Amazon Wholesale as a distribution channel, Barclays said. According to Barclays, Amazon India’s revenue from the B2B business was $1.9 billion, lower than Flipkart’s $3.3 billion in the last fiscal year. However, both companies are bleeding heavily. The report estimated that both companies could generate operating losses of more than $1.5 billion for the year ending March 2019. An Amazon spokesperson declined to comment. “We do not offer comment on industry reports. We are focused on serving customers and are humbled by the response so far, making us the most visited and transacted marketplace in India,” the spokesperson said. 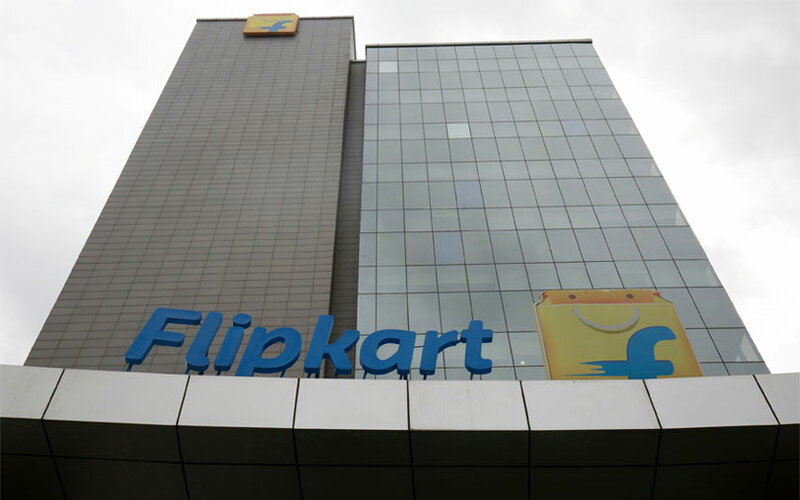 Flipkart said it cannot comment on specific reports but said it remained the market leader. It said that the Flipkart group, which includes Myntra and Jabong, is "almost double than the nearest competitor". "Our work over the years, and especially in the last two years, suggests that Flipkart is way ahead both in terms of revenue and market share... In the next few years, our focus is to grow the business consistently," it said. The report comes weeks after Binny Bansal resigned as Flipkart's group chief executive officer following an independent probe into allegations of “serious personal misconduct”. Bansal, who co-founded Flipkart, has denied the allegations. Walmart is also restructuring Myntra and Jabong, laying off a number a employees and merging all functions of the two fashion e-tailers. The Barclays report also said that both Flipkart and Amazon are aggressively investing. Amazon had committed to invest $5 billion in India and has been injecting capital into various local units. Earlier this year, for instance, Amazon injected Rs 1,950 crore ($306.3 million) into local unit Amazon Seller Services Pvt. Ltd. This came a little over two months after Amazon infused Rs 2,900 crore ($446 million) into its India operations. Walmart, meanwhile, spent $16 billion to acquire a majority stake in Flipkart. That is weighing on the US company's financials. Walmart last month lowered its earnings forecast for the year and said its e-commerce growth next year would be slower due to the Flipkart deal. *This article has been updated with a comment from Flipkart.